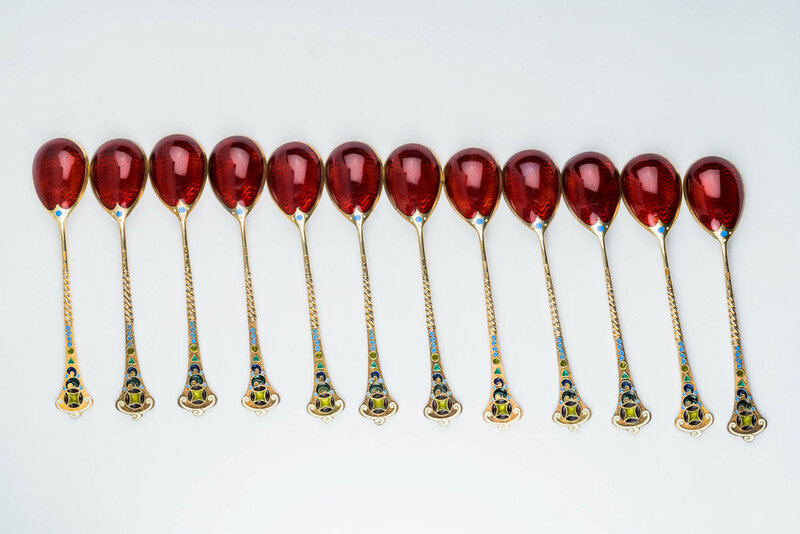 A set of 12 Antique Russian silver 84 guilloche and plique-a-jour enamel spoons by 11th Artel. 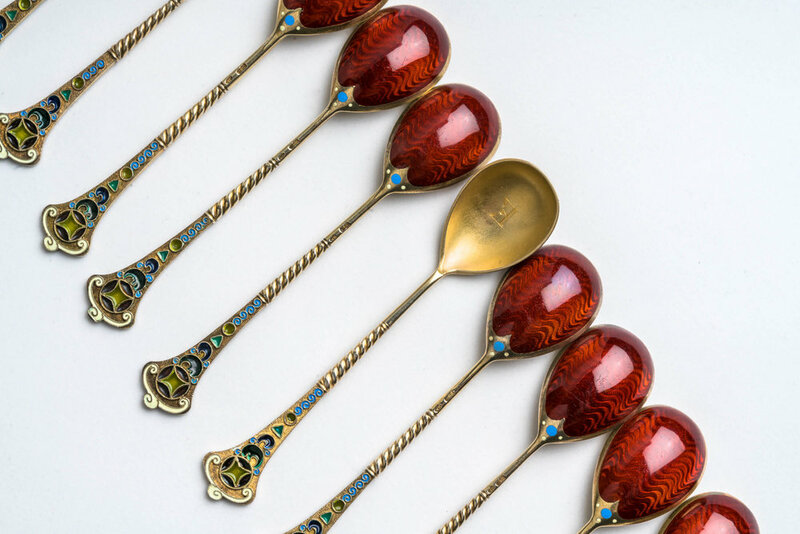 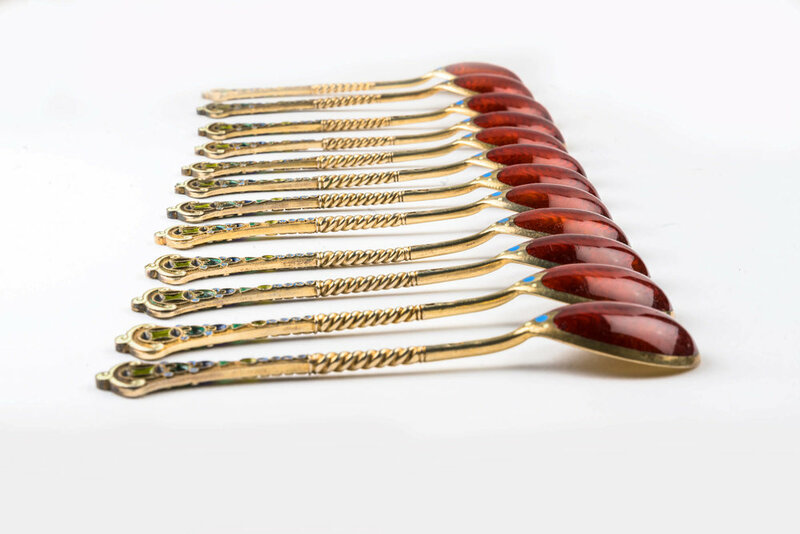 A beautiful set of 12 antique Russian silver 84 guilloche and plique-a-jour enamel spoons by 11th artel. 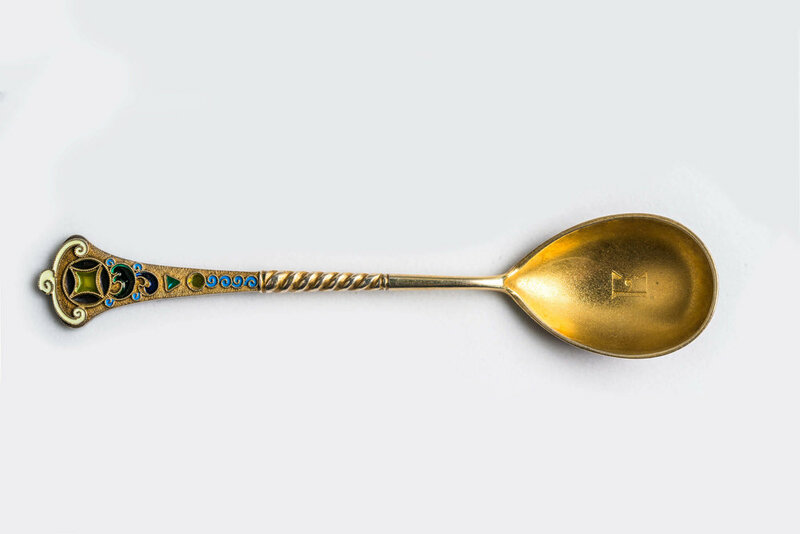 Length of each spoon is 5.25 inches. 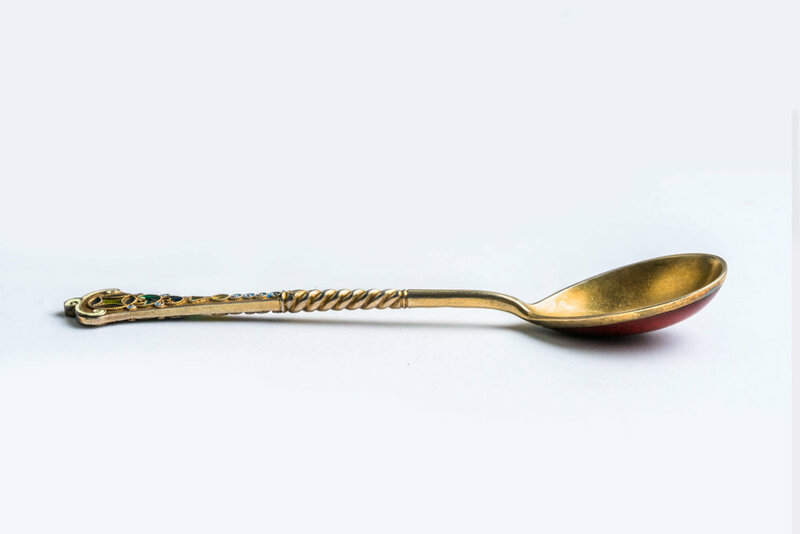 Weight of all 12 spoons is 266 grams.